Large cockpit with a fighting chair. Price includes bait, fishing license, and fuel. Price does not include gratuities. Only Need 20% Deposit To Reserve Charter. If the activity iscancelled due to bad weather, and you cannot reschedule, you will be issued a full refund. How long is each Fishing Trip? 1/2 Day Trips = 4 Hours, Full Day Trips = 8 Hours. Are food and beverages included? Bottled water is included along with a cooler full of ice. You are welcome to bring any additional beverages or snacks as long as they are not in glass containers. Yes, alcoholic beverages like Beer, Wine, and Wine Coolers are allowed. However, for everyone’s safety, Glass containers are not permitted - metal or plastic containers only please. Yes, top-of-the-line fishing gear is provided. Yes. 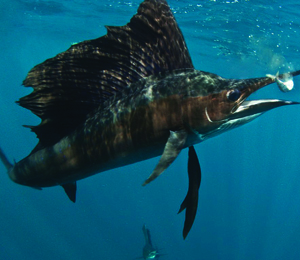 Bait is provided on all of our fishing trips. What is the customary gratuity? If you enjoyed your trip and are satisfied with the service provided by our Captain and Crew, a tip of 15-20% of the total trip cost would be very much appreciated. I have been to the Bahamas many times, but The Born Free - 48' Chris Craft is one of my favorite trips! It includes everything that everyone should do here. As a Bahamas veteran, I can say only the best about this experience!